There are many benefits as to why you should invest your time and money in a Personal Trainer. Many people compliment Personal Training with a gym membership for the days they are without their trainer. 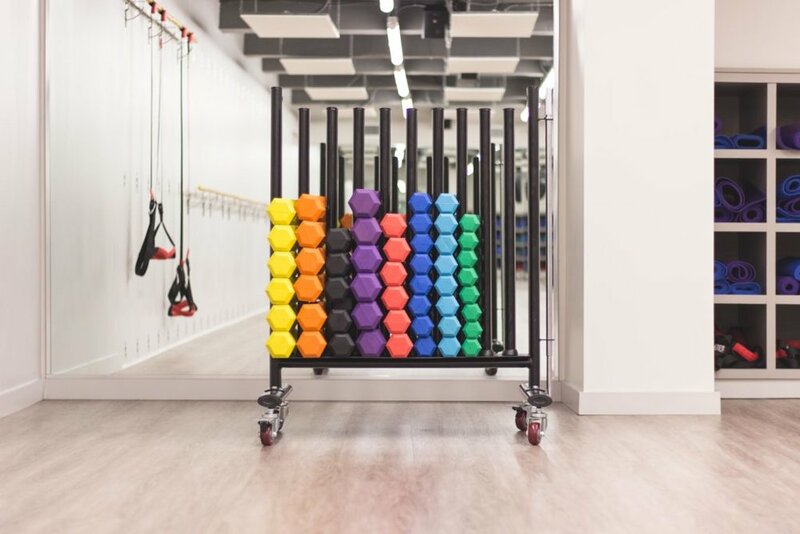 Personal Training benefits are endless and can always be custom-tailored to your specific needs. Hire, obviously! Seriously though, while personal trainers provide knowledge and specialized training towards your goals, it all depends on preference. Do you like the vibe of a group fitness class or do you want to buckle down and focus 1 on 1 with your trainer? Understanding the potential benefits that a trainer can assist with can help you decide if the financial and time investment are worth it to you. Regardless of what you're training for, whether it's life or sports specific training you can reap the benefits of a trainer. We all have been guilty of going to the gym to get it done, not working our hardest, hitting a plateau, or doing the same workout on the same machines without a challenge. Benefits of a Personal Trainer? The main reason for a trainer is to help you stayed focus on your goals and stick to a fitness routine. Find a trainer that fits your desired outcome. If you're beginning your training for a Marathon, don't hire a trainer who isn't experienced in running or doesn't understand proper training for a runner. Find a trainer who has multiple certifications. Ensure they are knowledgeable and can add variety to your workouts specialized towards your goals. Fitness.edu.au says, "Education when performing exercises is essential in reducing the risk of injury. Having someone trained in how to execute certain tasks will greatly reduce the level of risk and increase the effectiveness of your fitness routine." Going hand-in-hand with knowledge, find a trainer that is well rounded. Looking to train for something specific such as a Spartan Race, the Marathon or Sports? Find a trainer who can assist you on your desired journey. Looking for overall general fitness? Find a trainer that you get along with and someone who can challenge you. 6 alarms set for 5 am to workout before work, but you hit snooze every time for sleep. Chances of you canceling on your trainer in the wee hours of the morning or losing $100+ on a session are slim. Being with your trainer more than at the family dinner table means you are loyal and less likely to cancel since both have invested so much time thus far. 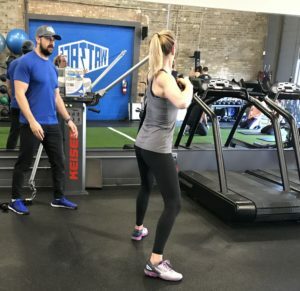 Finding a trainer that can help you while you are away from the studio can be a huge benefit and investment. Depending on the experience of your trainer, some offer nutrition planning. Nutrition is key to reaching your fitness goals. Your trainer can "travel" with you to keep you on the right track making the goal more achievable. Read more about nutrition guidelines here. Benefits of a "Traditional Gym"
The knowledge is your own or different resources such as an app on your phone or online. Unless you get a trainer at your local gym, most of the training are workouts you are used to, sticking with the same routine and hoping for results. You may be training for something specific, but you may not have all the knowledge and resources you need to train successfully and safely. Find an accountability buddy that can help you stay on track and in your routine. Your buddy can offer accountability, but may not have the knowledge and tools to help you train like a champ! The person that makes sure you make it to the gym is yourself. You have to make the effort to get up at 5 am right when the doors open or make it after work. Most gyms have personal trainers within their facility but do not offer nutrition planning or training for when you're traveling. You can find a lot of this on your own and online, but where do you go? How do you start? This is where a trainer would come in handy. Trainers can compliment a nutrition plan and workout regime that fit your goals, lifestyle, and dietary restrictions. If you are doing this on your own, you may get confused by what is best for you. The internet can be a great resource, but the water becomes muddy since one site will tell you YES! Eat this, while another site may say, NO, Don't even think about it! At the end of the day, it's all based on preference! Personal Training at Wattage - See site for more details and book today!